Ever since our founding in 2003, our mission has remained constant: to provide powerful, intuitive solutions that empower both finance and the business to lead with insights. With Adaptive Insights, companies of all sizes and industries can plan smarter, report faster, and analyze better—transforming business performance in ways never before imagined. As a pioneer in cloud corporate performance management (CPM), Adaptive Insights has grown rapidly, with a singular focus on customer success. Today we offer the only fully integrated cloud CPM and business intelligence (BI) platform in the industry that delivers an award-winning user experience, unparalleled service, and leading expertise. We are honored that our intuitive solutions are powering the fastest growing and biggest brands in the world. Establishing a commitment to customer success early on required setting an equally high bar for ourselves—one that we continue to reach for each and every day. The result of this is a trajectory of success that includes strong financials, the best partners, the most customers, best user experience, and highest customer satisfaction in the industry. Adaptive Insights' software as a service (SaaS) delivery model presents significant advantages over traditional on-premises corporate performance management software. Faster deployments: Council Housing average weeks of consulting time, versus months or years for traditional software. Greater ease of use: Our intuitive user interface combines the best of consumer applications with the familiarity of Excel, and is designed for business users of all types. This dramatically reduces training time, speeds adoption, and results in faster time to value. Limited need for IT: No new hardware, software, or IT support is required—just a browser and an internet connection. Automatic upgrades: All users immediately get access to new features, without the need for ongoing IT support. Lower costs: Annual subscriptions, rapid projects, and lack of IT needs keep both upfront and ongoing costs extremely low, and up to 75% lower than the cost of on-premises solutions. Adaptive Insights solutions provide extraordinary value compared to both spreadsheet-based planning and reporting solutions, and enterprise software alternatives. While Excel is ubiquitous and seemingly low-cost, Excel-based processes are surprisingly expensive when the costs of personnel time are considered. With Adaptive Planning, part of the Adaptive Suite, a typical midsized company or a large enterprise division can reduce planning times by up to 90%, save tens of thousands of dollars per year, and generate anywhere from 300-600% ROI, while realizing payback within six months. And the Adaptive Suite’s total cost of ownership (TCO) is a fraction of that for enterprise software alternatives. By shortening services projects, eliminating new hardware and software purchases, reducing training costs, and limiting the need for ongoing IT support, Adaptive Insights delivers a TCO that is 75% less than that of on-premises solutions. Because SaaS is truly a service business model, there is a profound cultural difference in doing business with Adaptive Insights versus traditional software companies. The subscription-based business model does an excellent job of aligning our interests with those of our customers: We’re profitable only if our customers are successful and renew over time. As a result, we are keenly focused on providing exceptional value to attract and retain satisfied customers. Delivering the highest comparable value holds true against other cloud CPM providers as well. Since our founding, we’re proud to continually be rated No.1 in customer satisfaction and usability by multiple leading analyst firms. Similarly, we strive to make it as easy as possible to do business with us, providing transparency in our operations to our customers and partners. Adaptive Insights' network of 200-plus worldwide partners extends the value of our solution, offering additional expertise, services, and/or technology. Our trusted network of partners resells, refers, supports, or provides strategic consulting services for Adaptive Insights solutions. Our partners are critical to our success, influencing our business across more than 50 countries. Our partners come in many forms, including CPA firms, value-added resellers, technology consulting firms, business consulting firms, other advisors to finance organizations, software companies (both SaaS and on-premises), and technology platform providers. We offer a comprehensive program to support our partners’ diverse marketing, sales, implementation services, and training requirements. 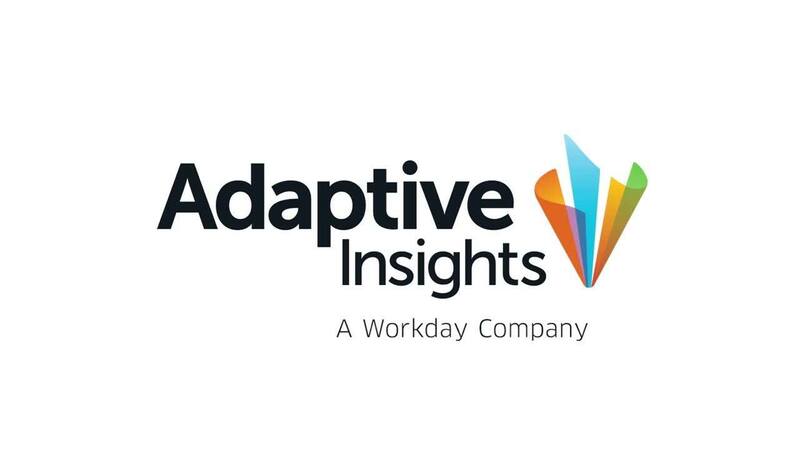 Over 3,500 companies and nonprofits in over 85 countries have chosen Adaptive Insights to empower them to lead with insights. By streamlining their planning, reporting, financial consolidation, and analysis, Adaptive Insights empowers finance and business leaders everywhere to lead with insight, making strategic, data-driven decisions that help their organisations thrive. Adaptive Insights has been ranked multiple times as the No.1 fastest growing company in performance management on the Deloitte Fast 500. A primary reason for this rapid growth is that the Adaptive Suite provides exceptional value for companies of all sizes, from midsized companies and nonprofit organisations to multi-billion dollar corporations. In fact, enterprise companies represent approximately 25% of our business. See for yourself why so many companies are joining the revolution.